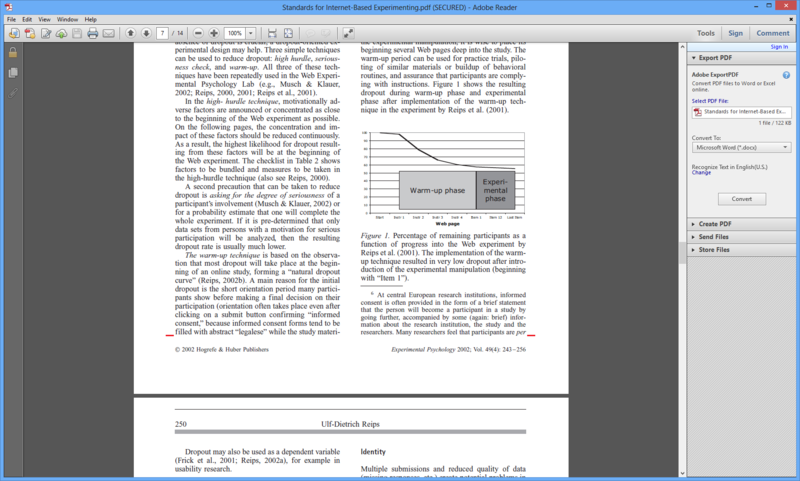 When looking at typical research paper documents in PDF, the two column layout makes it very difficult to scan pages easily because you have to move your eyes up and down and scroll up and down at the same time, so it is effectively like having two scroll bars. Is there a technical or usability issue with offering a offered that by default allows users to flip pages instead so that it is easier to read this type of document? Or does it already exist but I am just not aware of it for PDF readers? 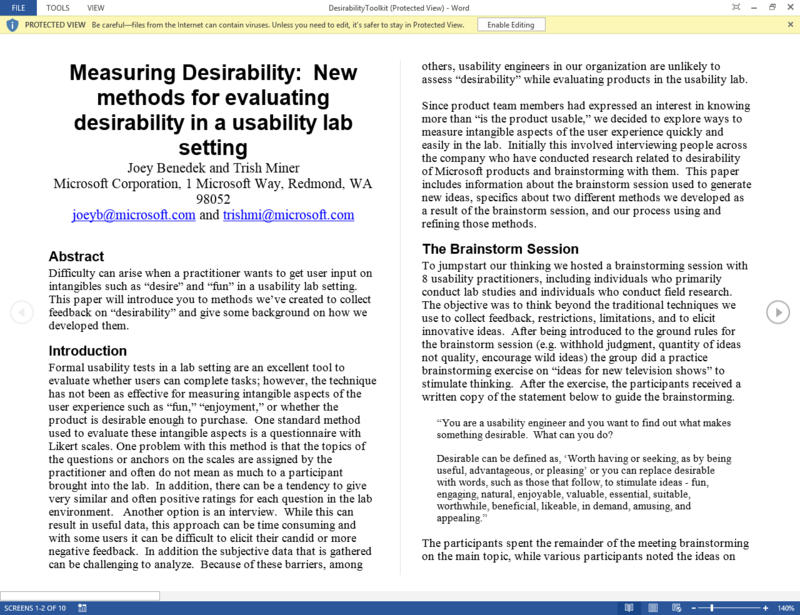 In Microsoft Word 2013 if you change the view settings to Reading mode and select the column layout then you can use the bottom scroller (not the next page button) to simulate the behaviour of scrolling between columns next to each other, which is actually the default behaviour I would want for this type of document. Is this the most user friendly way to view two column documents, and are there any technical or usability contraints I am not aware of and therefore it has been done the way it is? Taking into account that printing isn't as much of a major requirement for these documents anymore because you can collaborate using other tools, would an alternate viewing mode similar to what I described in MS Word be better? PDF files are not meant to be viewed online. Some of the reasons for using PDFs include preserving the print format, encapsulated formats, making documents easier to publish and preserving existing hard copy documents. Good uses of PDF files include user guides, owner manuals and documents or forms that must be printed. Not the answer you're looking for? Browse other questions tagged interface page-layout or ask your own question.